Hozier previewed a new video performance of To Be Alone, unveiled by Billboard today as part of clothing designer John Varvatos Fall/Winter 2016 advertising campaign. The Fall/Winter 2016 campaign featuring Hozier is Rock is Dead. 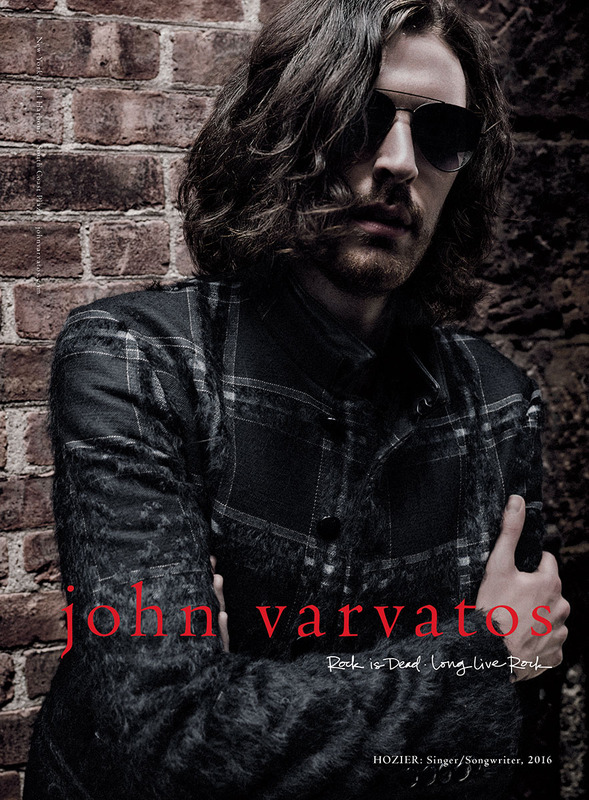 Long Live Rock and it is the first colour campaign for John Varvatos. Hozier was captured in four pieces: a dégradé coat, a shearling motorcycle jacket, a leather peacoat and a hand-knit, merino and alpaca shawl cardigan. 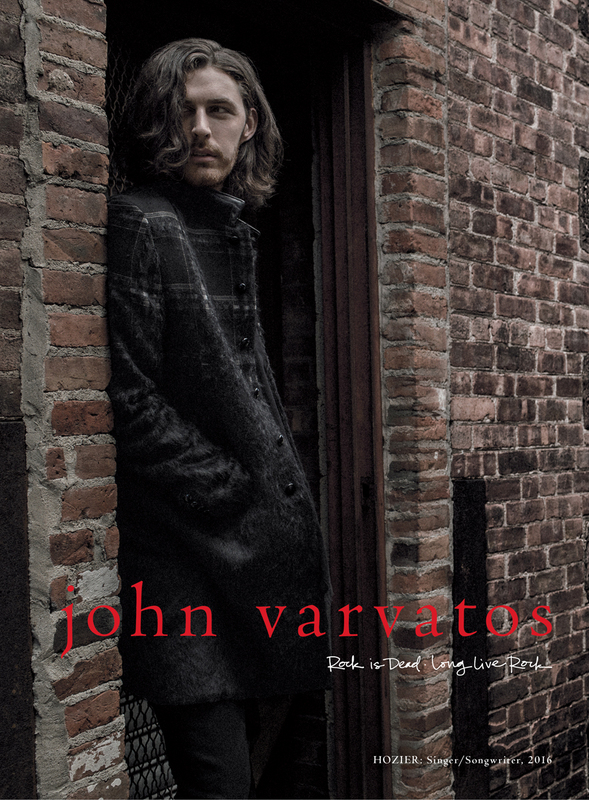 Read the whole interview with Hozier and John Varvatos in Billboard. Hozier interview with Clash Music about working with John Varvatos and Danny Clinch. 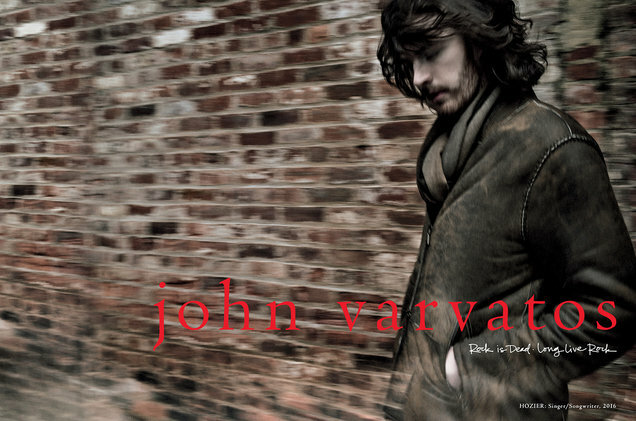 Interview with Stephen Niedzwiecki, Creative Director for the John Varvatos campaigns about choosing Hozier. Luxury Daily interview with Stephen Niedzwiecki. The Impression brought two more photos, which we’ve added to this post. The new Hozier video was inspired by Bob Dylan performances and follows the February presentation of clothing that included a 360 VR video showcasing the collection. Hozier’s involvement in the fashion campaign follows a long line of musicians who’ve been featured by the designer including Gary Clark Jr. and Jimmy Page, Ringo Starr, KISS, Willie Nelson, Paul Weller, Green Day and more. The agency is YARD NYC and the photographer was famed rock photographer and musician, Danny Clinch who also directed the video (see the Bonus, below). The campaign will appear in the September issues of GQ, Vanity Fair and Robb Report on newsstands in August. Hozier has worn John Varvatos designs since he appeared wearing a double-breasted linen jacket in Billboard Magazine in April 2015. He also wore the jacket on stage at Coachella on April 11, 2015. 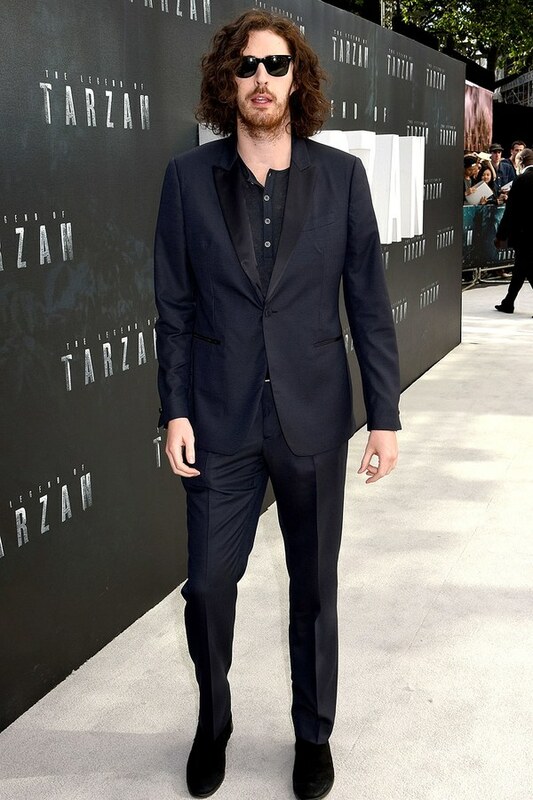 Recently, Hozier wore John Varvatos during the promo and premieres for The Legend of Tarzan in Los Angeles and London. The Varvatos suit at the London premiere of The Legend of Tarzan, landed Hozier on Vanity Fair’s The 17 Best Celebrity Looks of Summer 2016 list. Hozier also sported Varvatos at the recent Silver Clef Awards. Designer John Varvatos is a music fanatic with a record collection of more than 15,000 albums and attends 75 concerts a year. Varvatos worked at Ralph Lauren and Calvin Klein (launching the CK brand) before starting his own design house in 2000. He has dressed Jack White, Seal, Ryan Adams, Iggy Pop and recently Gary Clark Jr.’s groomsmen for his wedding. 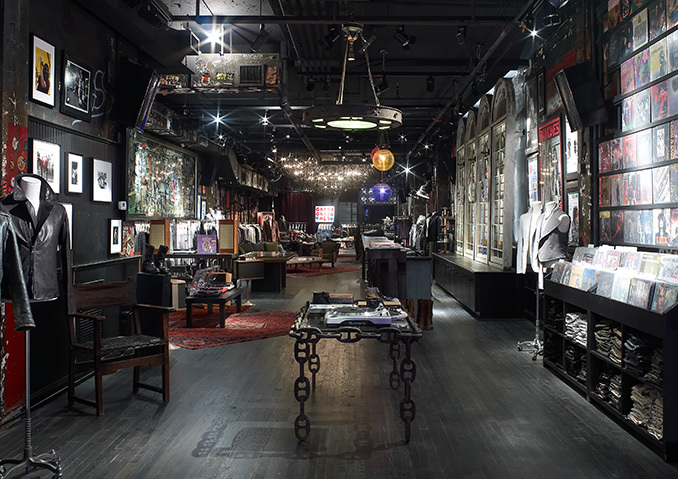 In August 2008, John Varvatos opened a location at 315 Bowery in New York City in the former home of the iconic underground music venue, CBGB‘s. He kept much of the graffiti, posters and band fliers on the walls and regularly holds concerts there which have included Guns N’ Roses, Alice Cooper, Paul Weller and The Struts. 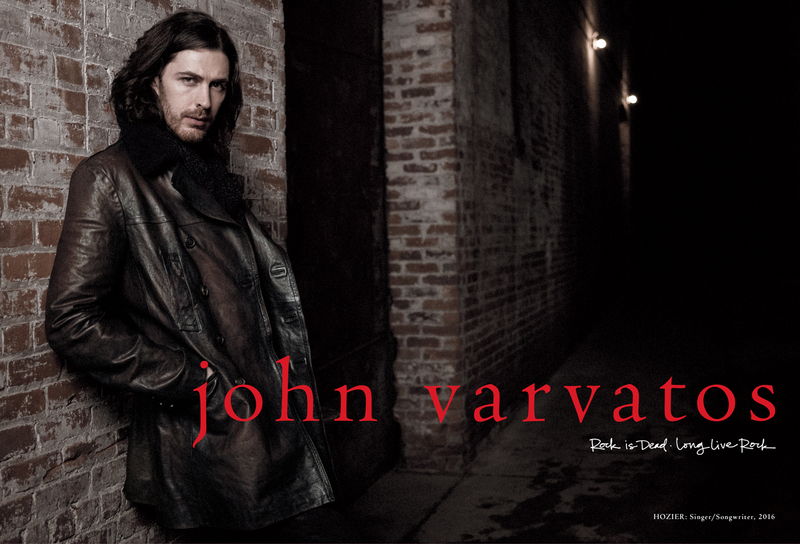 John Varvatos Records launched in 2014 by signing the Zac Brown Band and includes the supergroup Hollywood Vampires (Joe Perry, Alice Cooper, Johnny Depp, and guests) on its roster of artists. 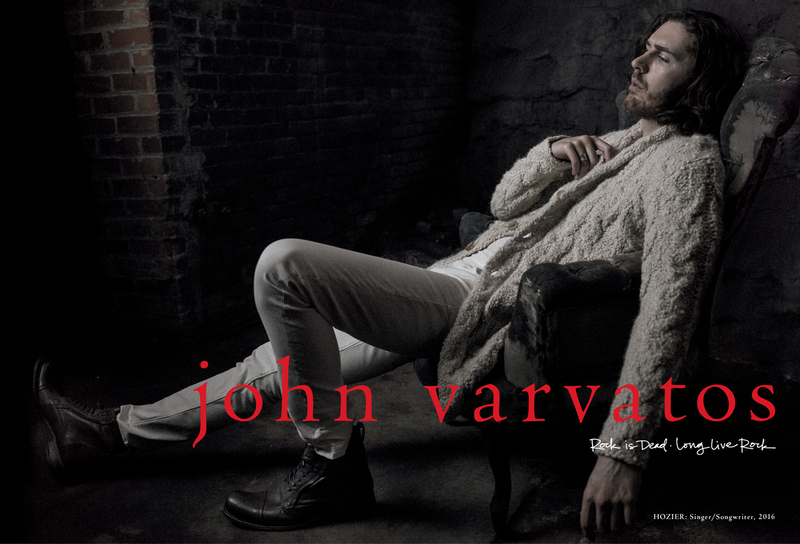 In addition to the label and live events, John Varvatos supports several social good campaigns. For 13 years, Varvatos has led the all-star Stuart House Benefit raising millions of dollars for young victims of sexual violence. Along with Ringo Starr, he’s also played an active role organizing a concert for the International Day of Peace. John Varvatos is on the Board for VH1’s Save The Music Foundation, a non-profit working to make music education a core curriculum component in schools. As Hozier mentioned in the Billboard interview, legendary photographer Danny Clinch, who also directs the John Varvatos music videos, performed alongside Hozier at Bonnaroo in 2015. The Mumford & Sons all-star super jam finale of With A Little Help From My Friends honoured Joe Cocker who died at the end of 2014. It is a brilliant and joyous moment for Hozier and all of his touring band and is well worth 9 minutes of your time. Tagged danny clinch, john varvatos, to be alone. Bookmark the permalink.